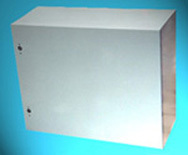 Applications: NEMA 3 electrical enclosures are typically used in outdoor applications for wiring and junction boxes. Nemaco of this style of enclosure provides protection against windblown dust, falling rain, sleet, snow, and external ice formation. Indoors the enclosure designed to protect against dripping water. Note that this style of enclosure has a gasket sealing surface. Nemaco installs stick gaskets and continuous gasket if required. Some models have hasps for padlocking. 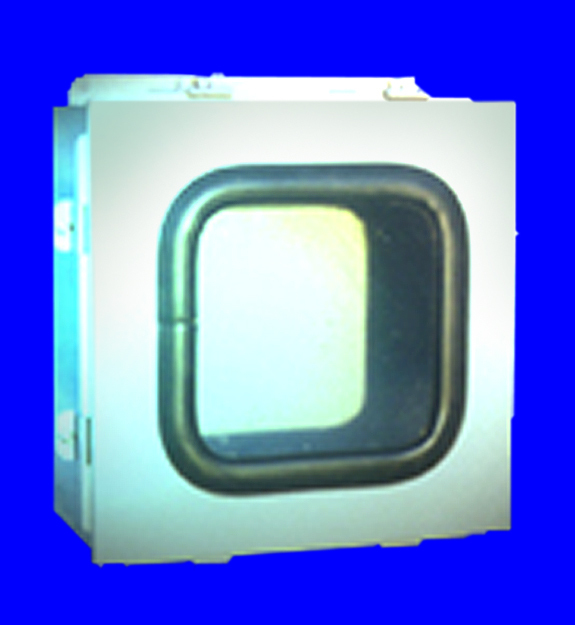 The Tigerbox™ NEMA 3 Enclosures are available with durable gasket seals for both indoor and outdoor applications. Nemaco has a NEMA 3 enclosure shown in the photo. 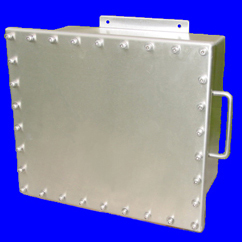 Call Nemaco Technology for NEMA 1 Enclosures, custom stainless enclosures and any other speciality projects.